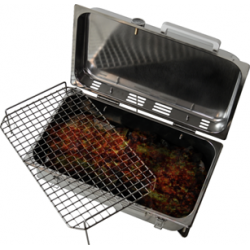 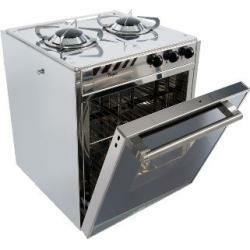 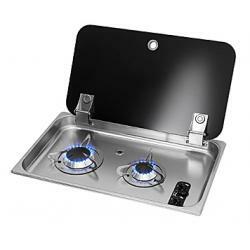 Stove flush "Hoodiny" 1 semi-rapid | Exalto Emirates LLC. 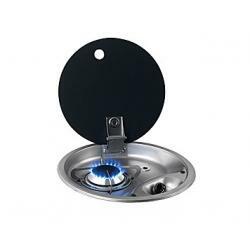 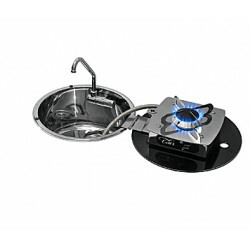 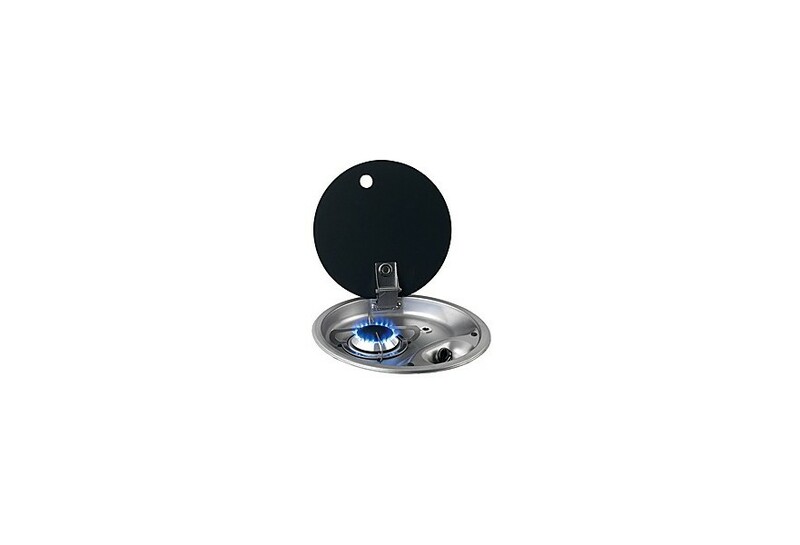 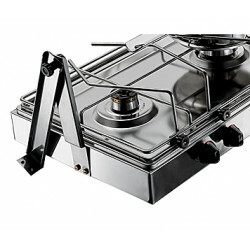 Round gas hob-unit 1 burner and rectangular gas hob-unit 2 burners complete with tempered smoked glass lid, with burners with self-blocking cap, SS built-in support grid fixed with antivibration rubber-washers and disappearing hinge. 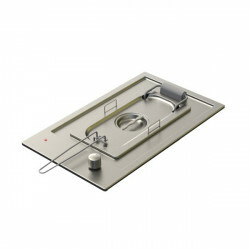 On top of the unit a special sleeve is placed a that has to be used as a seat for column type pan-holder.